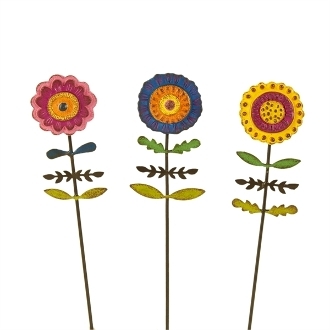 Set/3 BoHo Fairy Flowers for Miniature Gypsy Fairy Gardens. Full Description: These unique, detailed boho flower picks really pop in a mini garden! Designed by Genevieve Gail, the flowers feature all-weather paint and a distressed finish.